Large and conspicuous birds offer the opportunity to monitor their populations by means of relatively simple techniques. One of these techniques is the “Coordinated Avifaunal Roadcount” technique, in which observations are made from vehicles covering fixed routes. It is these large birds that are showing signs of threat due to loss of habitat through changes in land use, increases in crop agriculture and human population densities, poisoning as well as man-made structures like power lines. With the prospect of wind and solar farms to increase our use of renewable energy sources monitoring of these species is most important. 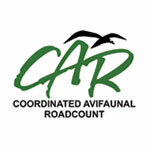 Roadcounts were pioneered in 1993 in the Western Cape and since then ‘CAR’ have spread rapidly to other provinces and now monitors 36 species of large terrestrial birds (cranes, bustards, korhaans, storks, Secretarybird and Southern Bald Ibis) along 350 fixed routes across South Africa covering over 19,000km (the flight distance between Cape Town, London and back!). Fourteen of these species appear in the Red Data Book. Twice a year, in midsummer (the last Saturday in January) and midwinter (the last Saturday in July), roadcounts are carried out using this standardised method. 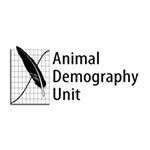 The Wits Bird Club supports this conservation initiatives of the Animal Demography Unit at the University of Cape Town and was instrumental in setting up the routes in Chrissiesmeer and has been involved there since 2005. The Chrissiesmeer precinct is situated in a unique and very beautiful part of our country. Our seven routes cover just over 410 kilometres of secondary roads through farms in the area. 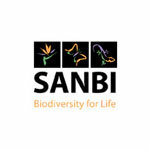 CAR attempts to establish a link between privately owned land and nature conservation and results are made available to the Department of Environmental Affairs and Tourism. 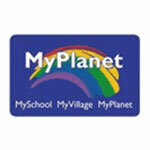 Farmers are encouraged to adopt responsible farming methods and local communities are also encouraged to get involved. 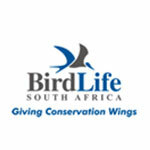 The Wits Bird Club first became involved in CAR counts in July 1999 when Alison Richardson set up seven routes in the Wakkerstroom precinct in Mpumalanga. 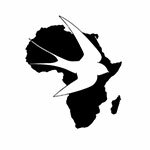 During 2004 the Animal Demography Unit (ADU) from the University of Cape Town (UCT) enquired as to whether the WITS Bird Club would be prepared to set up a new precinct in the Chrissiesmeer area, which was decided was necessary. 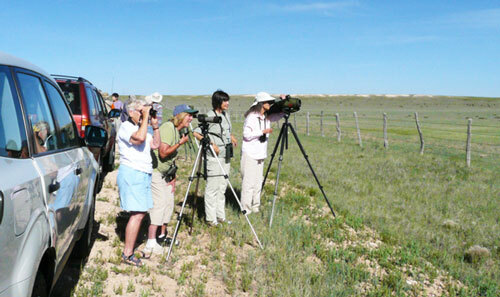 However the available resources of the WITS Bird Club could not undertake to manage both the Wakkerstroom and Chrissiesmeer precincts concurrently and with this in mind Alison introduced the concept of CAR to the farmers and residents in Wakkerstroom, until they were comfortable to run the Wakkerstroom CAR survey’s themselves on an ongoing basis. 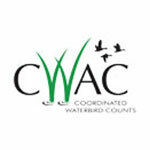 With Alan’s help the WITS Bird Club then focused their resources toward the Chrissiesmeer precinct setting up seven differing routes which remain being currently monitor. 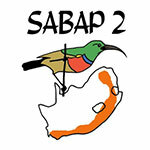 The first official count in Chrissiesmeer by the WITS Bird Club was in January 2005, an area which is classified as an Important Bird Area (IBA – SA019). Counts are undertaken by a team of dedicated birders on the last Saturdays in January and July of each year where the large terrestrial bird numbers encountered along the specific routes are counted. Such bird types include Cranes, Storks, Bustards, Korhaans and Guinea fowl. Volunteers are assigned a specific route which is always driven in the same direction from start to finish. The routes generally cover quiet farm roads and are driven very slowly, stopping every few kilometres to scan the adjacent fields and grasslands for the bird types being surveyed. These surveys are great bird outings with a difference to one of the best birding destinations in the country with Miss Chrissies Guest Farm offering the club fantastic accommodation over the weekend to ensure the survey is completed successfully. The chief goal to the club for undertaking these CAR surveys is to monitor the populations of our large terrestrial birds which are showing indications of stress primarily due to habitat loss. This habitat loss is a function of increased changes in land use, increasing human population density, poisoning of vermin, power line collisions and the prospect of solar and wind farms. The results of each survey undertaken are submitted to the ADU at UCT (http://adu.org.za) who are the dedicated curators of all CAR data countrywide plotting the results and trends yielded therefrom.